In Japan’s forthcoming quadrennial unified local elections there will be 1,000 separate elections. More than 230 political heads, such as prefectural governors and city and town mayors, will be elected by direct vote along with some 15,000 prefectural and municipal assembly members. 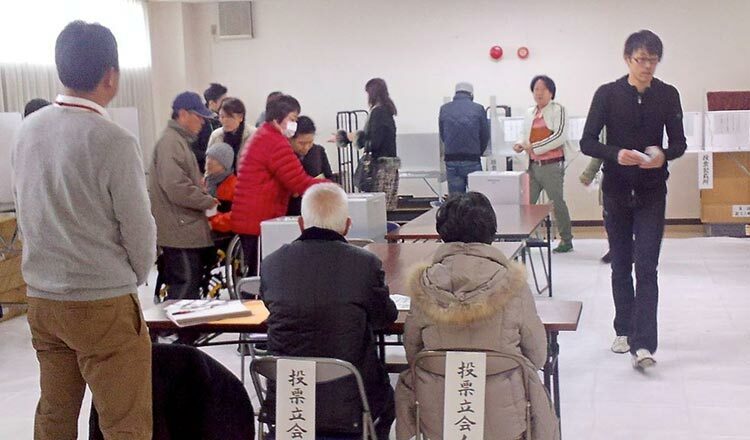 Given the size of the elections across Japan, they will be conducted in two phases on April 7 and April 21. Japan has more than 1750 local bodies consisting of prefectures, cities, towns and villages. Their sizes range from the gigantic Tokyo Metropolitan Government to small villages of a few thousand residents. They are all governed by the Local Autonomy Law. Local bodies are highly dependent on the national government for their finance and policy matters as Japan has a unitary structure with a centralised system of governance. There are some exceptions, like the Tokyo Metropolis that raises enough finance for itself to enjoy some policy autonomy. Casual observers may think local elections in Japan matter little, as their issues are often perceived to have minimal impact on national or international politics. Yet these elections can have far-reaching national and international implications. In Okinawa – Japan’s southernmost prefecture – gubernatorial and mayoral elections often have the stationing of US troops as one of the key electoral issues. The outcomes of such local elections impact national security policies and Japan–US relations. Local governments sometimes take leading roles in new policy initiatives and the national government follows them. Anti-pollution measures, social welfare, ordinance against hate speech and climate change issues are some examples of such policy areas. Some local candidates are endorsed or supported by national-level political parties, although others run as independents or belong to regional political parties. Very often candidates are jointly endorsed by both ruling and opposition parties, blurring the line of the national political divide. But battles are also drawn along the political lines in big prefectures. Of the 11 gubernatorial contests, Hokkaido is the only prefecture where a candidate supported by the ruling Liberal Democratic Party (LDP) and a candidate supported by an opposition party will run against each other. Osaka prefectural gubernatorial and Osaka city mayoral candidates are contesting as members of a local party – the Osaka Ishin no Kai (Osaka Restoration Association). Ichiro Matsui and Hirofumi Yoshimura, the incumbent governor and mayor respectively, resigned their positions to run for each other’s positions to stay in power for another full term of four years. Their objective is to push their policy agenda of reorganising Osaka along the lines of the Tokyo Metropolis. The two leaders orchestrated the swap to avoid the legal provision that re-elected mayors and governors can only serve the remaining time of their term after resigning their positions, not a full term. Local elections are crucial in the power struggle between Osaka and Tokyo. Shrinking and ageing populations, especially in Japan’s rural and semi-rural areas, are putting enormous stresses on their bottom line and causing increasing dependency on the national government. Revitalising regional economies is a major issue at local elections. The national government has announced a plan to bring foreign workers to Japan as one revitalisation strategy, but progress has been slow and many localities are still unprepared to accept foreign workers. Policy issues such as population, ageing and foreign workers are as much a national concern as they are local. That is why the outcomes of local elections are likely to impact on immigration policy at the national level. In the 2015 unified local elections incumbents that were recommended or supported by Prime Minister Shinzo Abe’s LDP won all 10 gubernatorial elections. The political mood in favour of the ruling party was clearly reflected in the 2016 upper house election delivering a landslide victory for the LDP. This year’s unified local elections coincide with elections for Japan’s upper house. Upper house elections are held every three years around July for half of the House’s membership. These near-simultaneous local and upper house elections typically occur every twelve years in the Year of the Boar. During the last Year of the Boar in 2007, local and upper house elections were a disaster for the LDP. The now defunct Democratic Party of Japan made strong electoral gains in the local elections and went on to win by a landslide in the upper house election held a few months later. The poor performance of the LDP in the upper house election led to Shinzo Abe’s abrupt resignation from his first stint as prime minister after just a year in office. There will be two by-elections for the lower house of the National Diet in Osaka’s 12th district and Okinawa’s 3rd district on the same day as the second round of local elections on April 21. Together they will serve as a political barometer for the upper house elections in July and for Abe’s main agenda of constitutional revision. The results of the local elections, especially in the Year of the Boar, are likely to significantly affect the outcome of the upper house elections later in the year. Mr Abe will be extra cautious, and his party will mobilise its local machine to ensure a good outcome. Purnendra Jain is a Professor in the Department of Asian Studies at the University of Adelaide. This commentary first appeared in East Asia Forum.